I took our time looking for a sofa, which is a significant investment in home decor and lifestyle. We spend a good amount of time in the living-room and on the sofa for leisure, entertainment, and relaxation (and may I add - videogaming). Therefore, rushing into a set was not an option for us! We needed a sofa that would maximize a small space, could seat at least six to seven people and be large enough to host our families. Of course, keeping in mind my husband's need for something comfortable and durable, and my need for something modern and inviting, we needed to find something that was a mesh between the two. 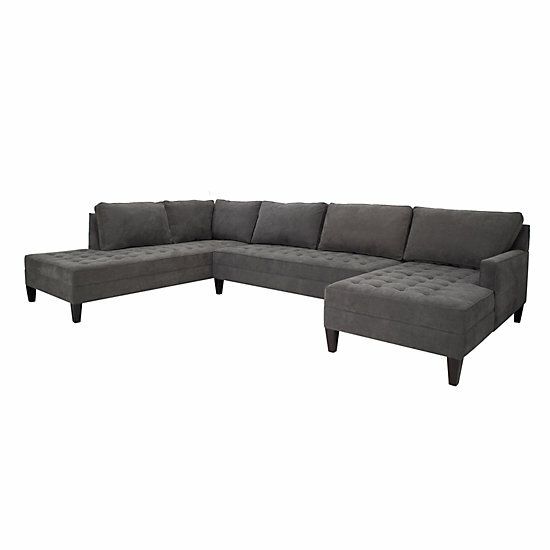 After much searching and a little friendly debate, we concluded that the hand-crafted, sectional sofa from ZGallerie would be the perfect fit. My husband and I were initially crossed between two choices from two different stores. We are so glad we took the advice of my style-guru, my mother , and went with the vapor! She always has a good eye and taste for these kinds of things. My husband’s style is a bit rustic while my style is mostly a bit more contemporary. However, keeping with the vibe of our very modern and urban apartment complex, I needed to design and style the place that is in harmony with the rest of the apartment, but touches of rustic and contemporary to personalize the inside. The Vapor sectional was the ideal choice, and it totally makes the living room! I waited a while to decide on a couch, and the wait was totally worth it! It’s neutral color makes it easy to enliven the space, simply by adding colorful or season appropriate throw pillows and throws. I can't wait to style this furniture piece through out the seasons. 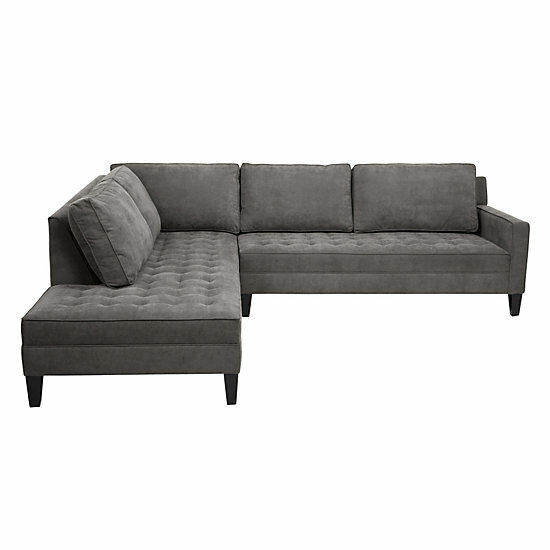 It’s tailored finish, tufted seats, and clean lines give it a modern and clean finish. It's perfect for lounging in an urban space! The legs are solid wood in espresso finish.​ It comes with various back cushions which makes it super cozy and comfortable, but it’s generous size and deep seats make it roomy enough to hold extra decorative pillows. I am so excited to decorate the room around this couch and I can’t wait to show you my progress! The trick to decorating is to always start with the wall color or an inspiration. It's easier and efficient to choose your furniture pieces once you have the paint selected and painted! Since I started with a blank canvas, I was able to focus on choosing the colors first! Before we even moved in with our keys and our families to bless us, we painted accent walls in the living room and second bedroom. I can't wait to show you the results! Stay tuned! And In the meantime, let me lounge on my huggable sofa with a cup of my favorite tea - my love posion! This post has not been sponsored and is based on my personal opinion and feedback.